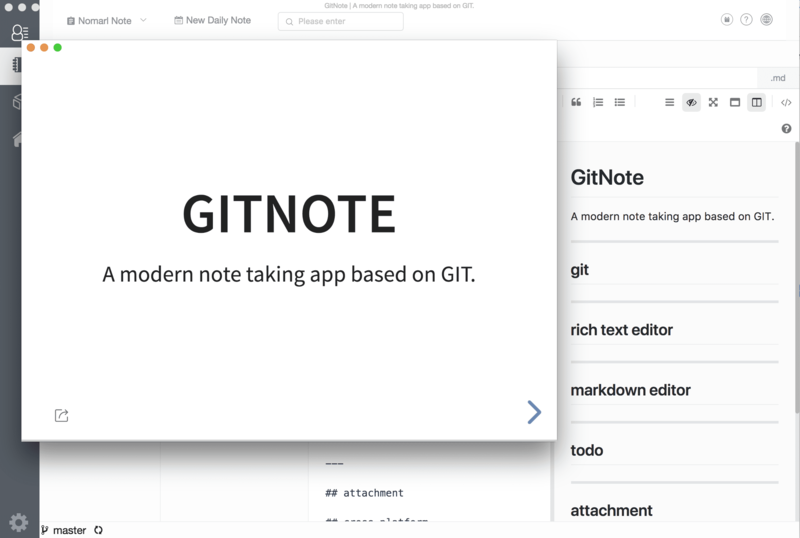 A modern note taking app based on GIT. 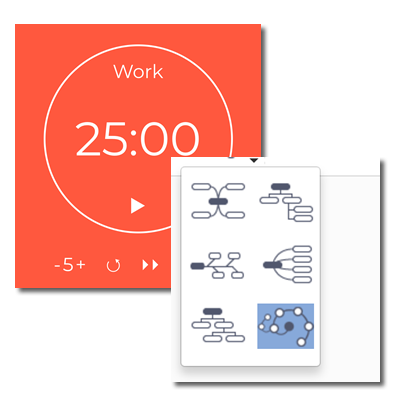 Supports thinking brain maps, helping us to visualize things in a visual way, such as recording and inspiring ideas. It is supports multiple export methods. 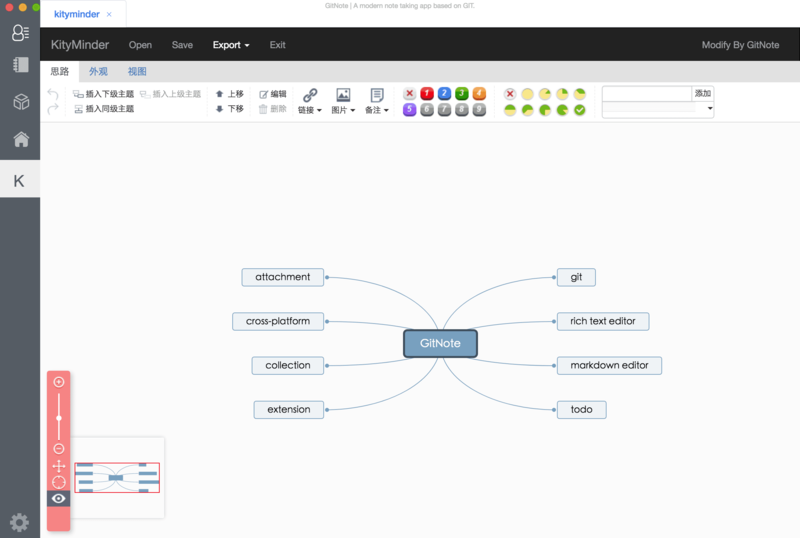 Grapheditor is diagram software for making flowcharts, process diagrams, org charts, UML, ER and network diagrams. 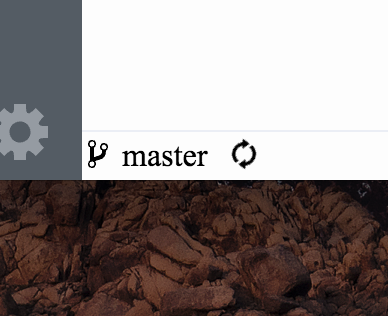 Using markdown, you can easily create a web version of the presentation and support export. 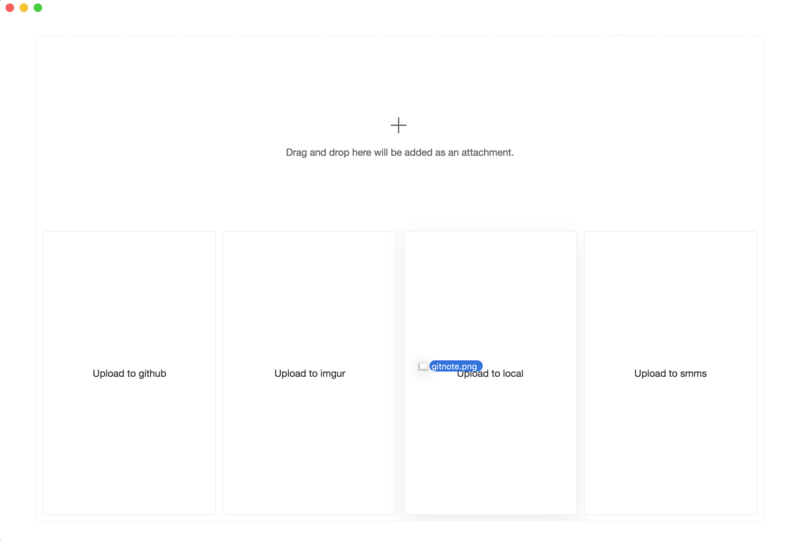 Supports multiple image hosting uploads, automatically insert into the notes, provide API to freely customize your own image hosting. 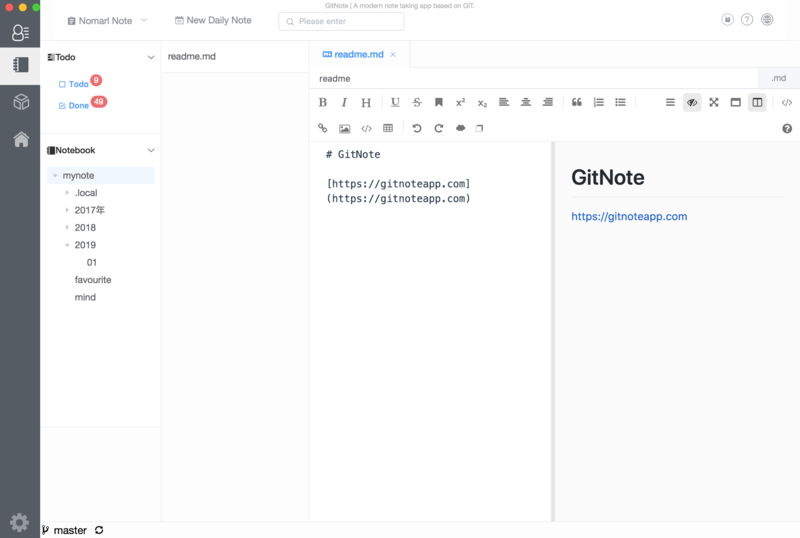 Git is the world's most advanced distributed version control system. 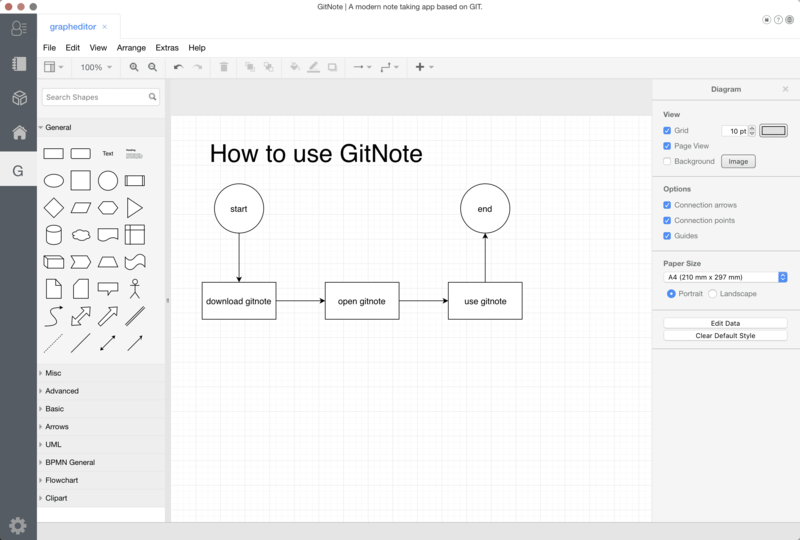 GitNote has all the features of Git and does not need to rely on the local GIT environment. With GitNote you can restore data to any version at any time, no Any number of restrictions. With GitNote you don't have to worry about data issues, don't worry about storage space issues, your data belongs to you. 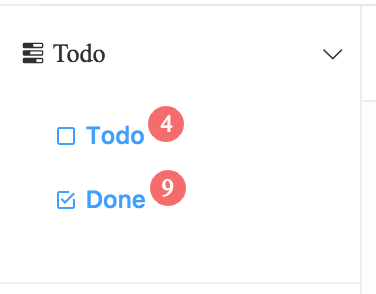 Lightweight todo management, quick and easy to create Todo in your notes, no complicated management process, just focus on completion and incomplete. Manage your own todo in a minimalist way. 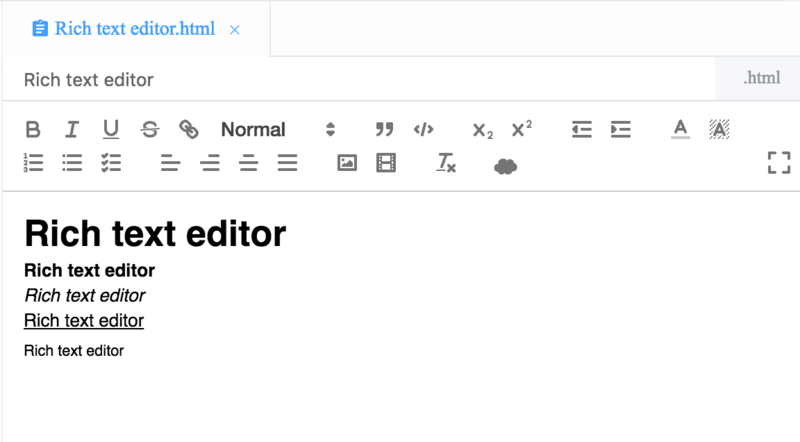 Rich text editor, not only supports a variety of complex text editing, but also supports shortcut keys, formulas, syntax highlighting, Todo, image pasting, and more. Not only is it a beautiful markdown editor, but it also supports the ability to write slideshows for presentations. 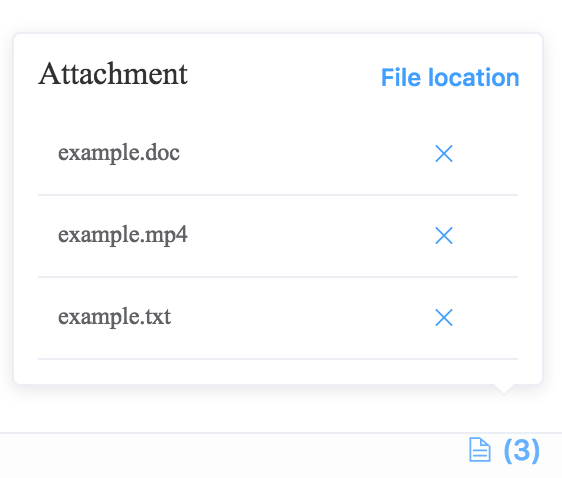 Not only supports a variety of files as attachments, but also automatically recognizes the image and inserts the image into the note. Mac windows Linux full platform support, will also support the mobile side in the future. With the browser plugin, you can collect any content on the network and automatically sync it to your note repository. Provide powerful and rich extension API, free to customize the function extension plugin, can provide thinking brain map, tomato work method, map bed, etc.